Home / Worth writing about… / All / How are you going to show your love this Valentines day? How are you going to show your love this Valentines day? 04 Feb How are you going to show your love this Valentines day? February 14th is a day that divide’s people – depending on your point of view it’s either the most romantic day of the year, or a commercial construct designed to make us spend money. But there’s one thing that might get everyone to agree: what if we made it a day where we can show our love to all the people of the world? There are thousands of starving adults and children who go to bed hungry every night. But we can do something about that. As you probably already know, Craftivist Collective is currently working on the Jigsaw Project, in support of Save The Children’s Race Against Hunger campaign. 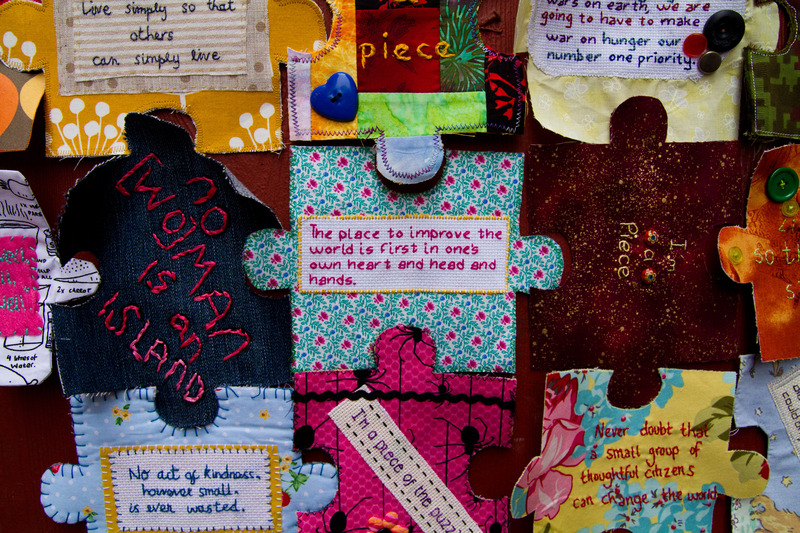 The aim is to stitch puzzle pieces with words that will encourage and challenge both the general public and the government to do what they can to end world hunger. With the G8 summit arriving in the UK later this year, it’s too good an opportunity to miss. Each crafter is being encouraged to create three jigsaw pieces – one to send to Craftivist Collective to be a part of a massive art installation March 2013, one to send to your local MP to encourage them to use their position for good, and one to keep for yourself to remind you to keep being a part of the solution, whether that’s by signing a petition or shopping ethically. #imapiece DEADLINE: We have until the 21st February to post our pieces for the installation & 1st March to hand over a piece to our MPs. Without your help we will have just a handful of jigsaws on a bare wall – we want thousands instead! It will be hard for anyone to not have a reaction to so many personalised messages, whether they’re an MP, Prime Minister or World Leader from the other G8 countries. Check out what some craftsters have already made here for inspiration. But we need hundreds/thousands more to make our crafty voice even louder and more overwhelming! 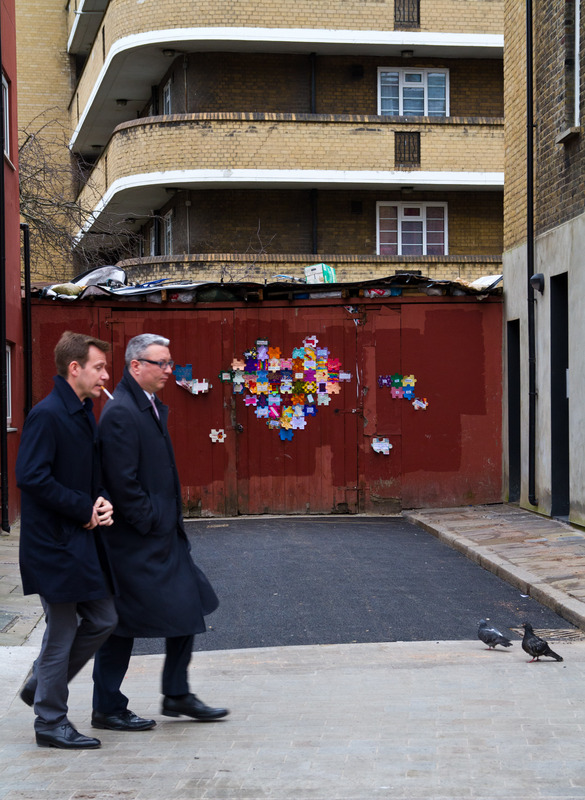 This Valentine’s Day, whether or not you’re planning on sending a card or a box of chocolates to your special someone, why not reach out in love to your global neighbour too? Stitch your own pieces by following the templates and instructions on the project website, sign the Save the Children petition here, and spread the word online through Twitter, Facebook, blogs etc using the hashtag #imapiece.